This is an easy to-navigate, user-friendly platform for mobile users, that lets you manage your bids and consignments no matter where you are. 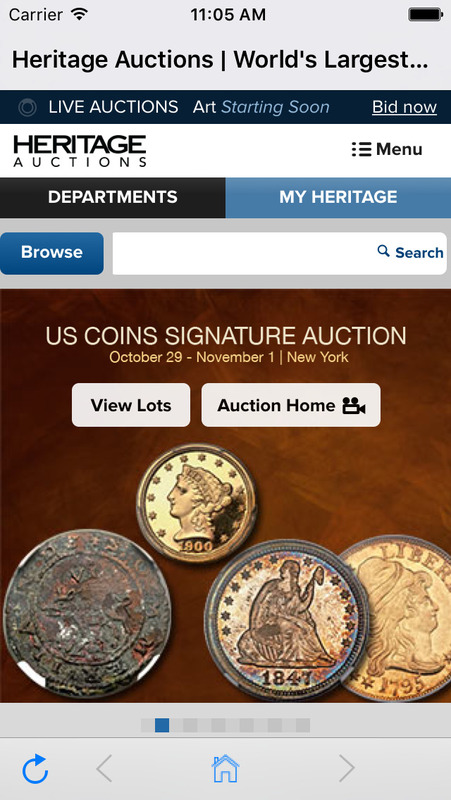 You can search for, view and bid on any lot in any current Heritage auction. Search by keyword and limit the results to a single category by choosing it from the “Category” dropdown. Click on any of the resulting search listings to examine an item more closely or place your secret maximum bid. Bids placed through this application are handled exactly the same way as bids placed through the regular Heritage Website – users will immediately be notified if they are the high bidder or if they've been outbid by another.